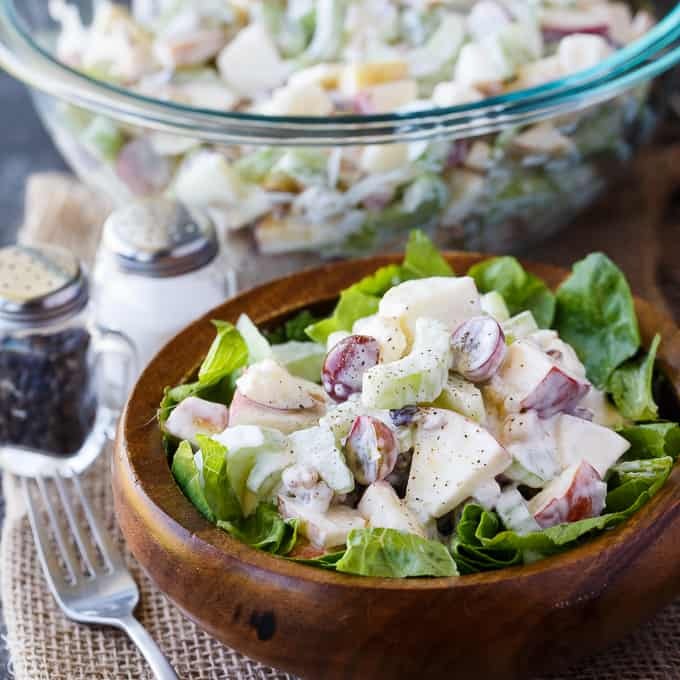 Are you familiar with the famous Waldorf Salad? 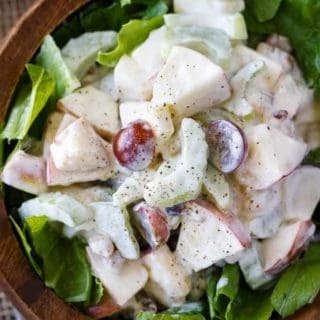 It’s a fruit and nut salad that is typically made with celery, walnuts, apples and grapes in a mayonnaise dressing and served on a bed of lettuce. 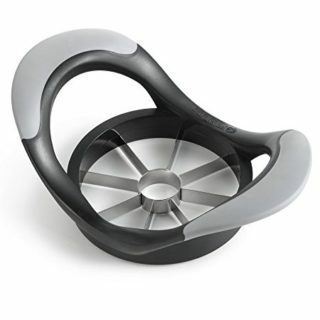 It’s wonderful as a side dish to a meal or brought to a potluck party to share with friends. So why Waldorf? There’s a meaning behind the name. The salad was created in 1896 for a charity ball at the famous Waldorf-Astoria Hotel in New York City. 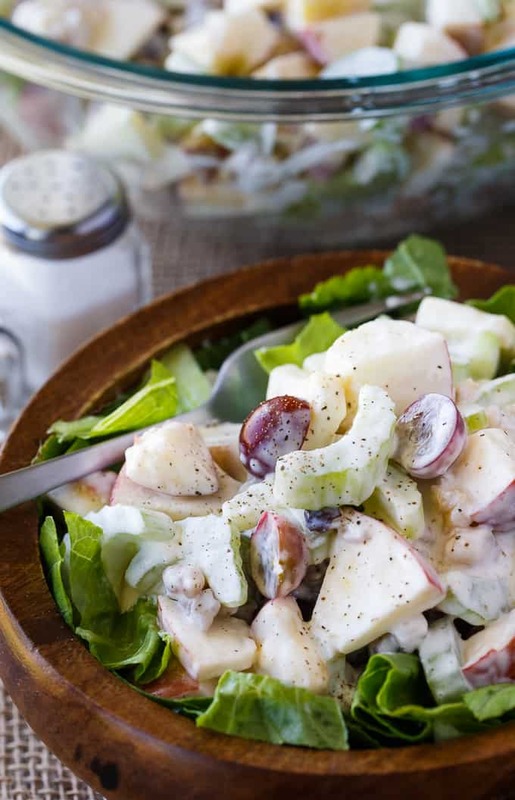 Originally, Waldorf Salad was just apples, celery and mayonnaise. The nuts were added later in 1928 when the recipe was featured in The Rector Cook Book. A little bit of history for ya! 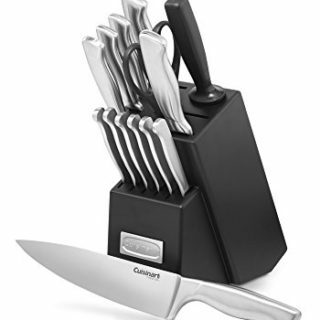 Just a little chopping and mixing and you are good to go! 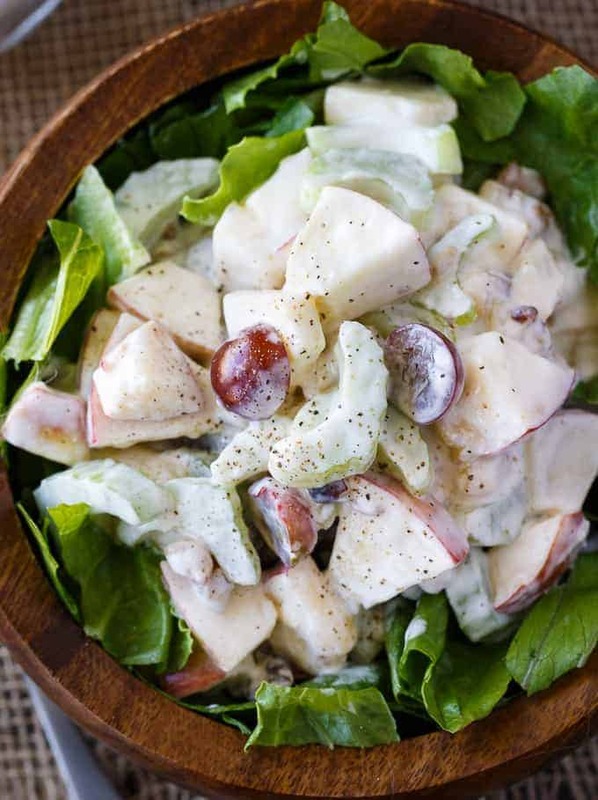 Add the apples, celery, grapes and walnuts to a large salad bowl. Stir in the mayonnaise and lemon juice. Season with salt and pepper, to taste. To serve, add lettuce to serving plates. I used Romaine lettuce for its dark green colour. 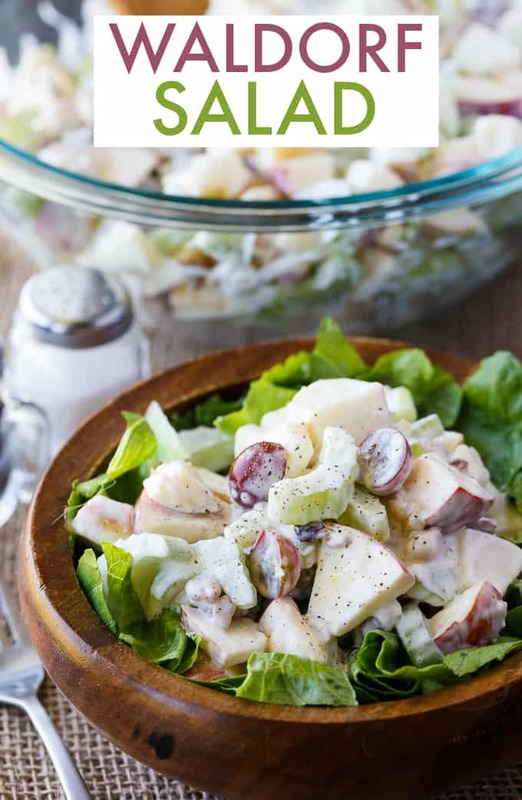 Top each bed of lettuce with the Waldorf Salad mixture and enjoy! The apples didn’t get a gross brown after sitting in the fridge. I think because the lemon juice helped to keep them fresh. I used Gala apples because that is what I had already at home. I also toasted the walnuts prior to adding them to the salad. I love the extra flavour it adds. Each bite is crunchy and full of tangy flavour. The mayonnaise adds a little creaminess while the lemon juice keeps it a bit tart. I do batch cooking when I make recipes to save on time. I made this recipe the night before my sister’s bridal shower. I was asked to bring food with me so I thought that’s perfect, I’ll bring this Waldorf Salad. I covered it in plastic wrap and put it in the fridge until the next day to bring with me to the shower. At the shower, I didn’t bother with the bed of lettuce because it was a help yourself type of deal. I saw people loading up the Waldorf Salad on to their plates filled with other salads and appetizers. It was a hit! My cousin asked what was in the dressing because it was “so good”. She couldn’t believe it was just mayonnaise and lemon juice. Talk about easy! Looking for more salad recipes to try? Check out my Macaroni Salad, Cucumber Salad and Mustard Chicken Salad. You might also like this Fruit Cocktail. 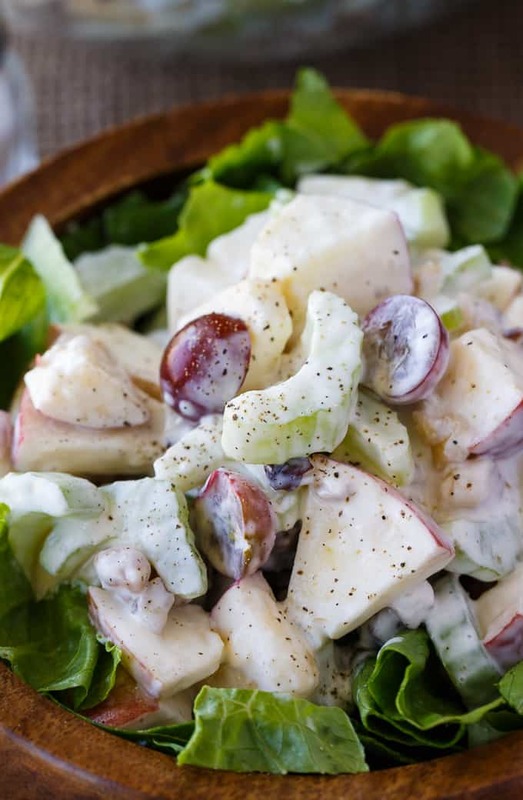 Have you tried Waldorf Salad before? The famous salad from the Waldorf-Astoria Hotel! It's loaded with fruit and nuts in a creamy, tangy dressing. Add the apples, celery, grapes and walnuts to a large bowl. Stir in mayonnaise and lemon juice. Season with salt and pepper. 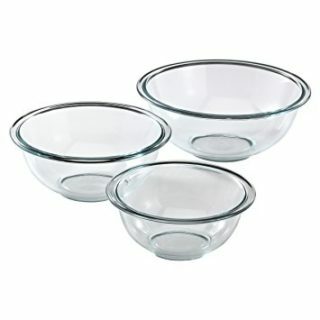 To serve, add the lettuce to serving plates. Top with the salad mixture. Thanks for sharing Stacie. I used to make this all the time and forgot about it. I used half mayonnaise and half Cool-Whip for the dressing, like Aunt Evelyn taught me when I was 15. (61 now). 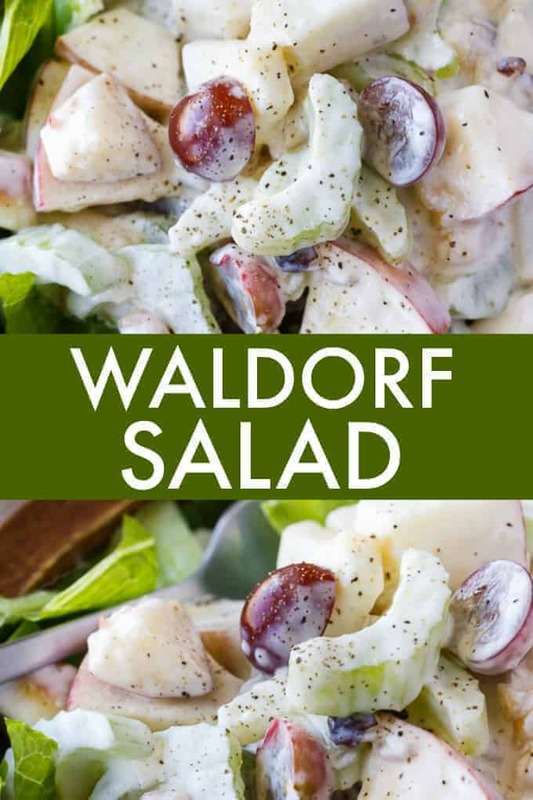 I love Waldorf salad and I’ve never tried it with grapes. Love that, it must make it extra juicy. Can’t wait to roast the walnuts first too. Do you add the walnuts while they’re still warm Stacie? One of my all time favorite salads. It’s one you can make year round. Love it!